‘I had a dream. That one day… I’d be representing my country at the Olympics.’ Most athletes – if not all – have that same dream. 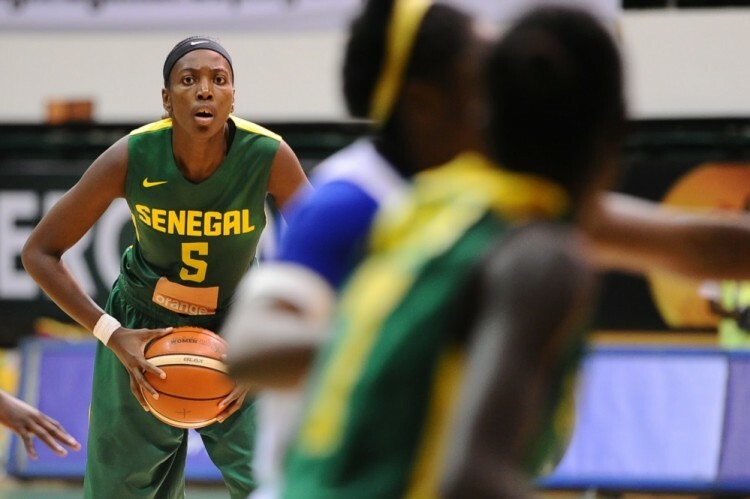 Aya Traoré has waited a long time to accomplish it; and next summer, the captain of Senegalese women’s national basketball team will be in Rio battling it out. 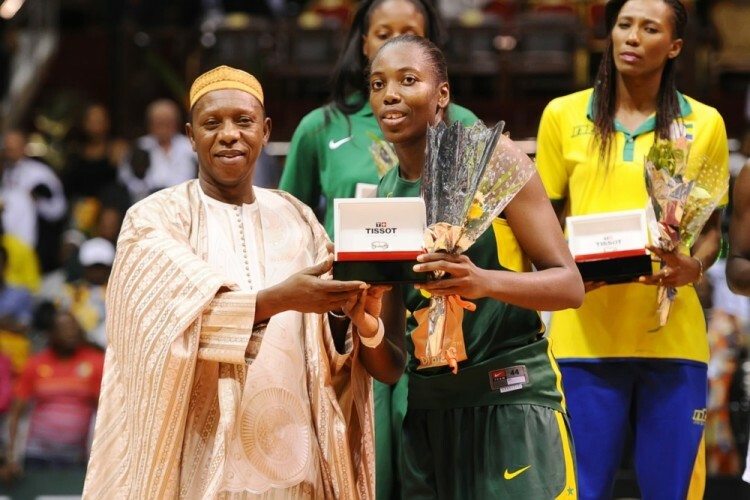 Her team got their lucky ticket by winning the AfroBasket Women’s championship this October. Who would have guessed Senegal was going to hold the trophy at the end of the tournament? Most of the people lost faith in Traoré’s team after they were beaten twice in the qualifying round. But the ‘Lionnes’ responded the best way in the quarter-final when they faced Mali. Senegal didn’t allow Mali to score in the third quarter. 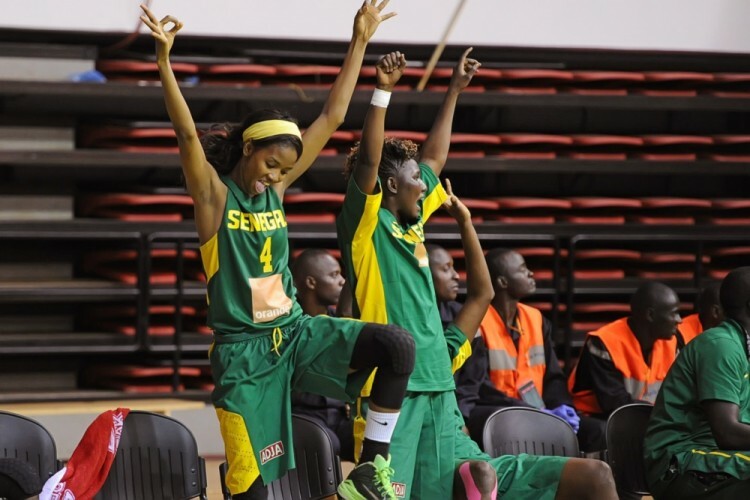 In semi-finals, Senegal showed that were indeed the better team beating Angola in a close game, winning by only two points (56-54) to get to final. Senegal finished the tournament in style; they definitively beat the host Cameroon (81-66). Aya is ready to play ball. Aya Traoré receives her MVP trophy from the FIBA Africa President. I could tell over the phone that Aya Traoré had a big smile on face. During the AfroBasket tournament, Aya excelled. When she celebrated with her team at the end of the final game, she received the MVP (most valuable player) award. Just like in 2009. The Senegalese women’s national team has come a long way. Everything started back in May in Romania at their first training camp. 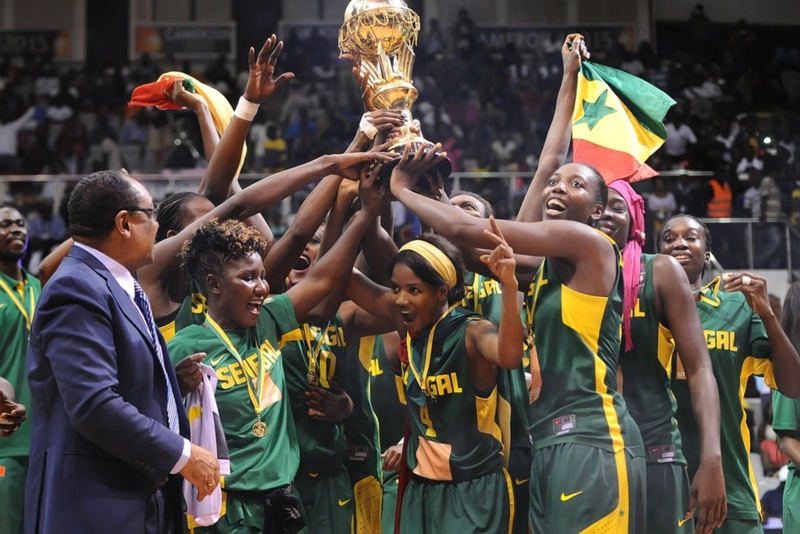 The head coach Moustapha Gaye, who won the AfroBasket women’s tournament in 2009, was back in business after four years away from the game. One month later, Aya Traoré and rest of the team met in Dakar where they prepared by competing in friendly games. ‘At the beginning, it was quite difficult because we hadn’t seen each other for two years, since 2013. We had a new head coach, even if everybody knew him. We had to start our routine all over again.’ But the team’s biggest strength lies in the loyalty of their players. Six of them have played with the national team for over five years. They stuck together and have been through a lot together. That’s how you build a team. By relying on a strong foundation, with players who answer the call year after year. Oumou Khairy Thiam is pretty happy about her team's eventual victory. ‘When I was young, I dreamt for such a long time that I would represent my national team. So when you have the opportunity to do it, you can’t turn it down. Young people want to do it and it’s our duty to lead by example,’ explains the captain of Senegal. The ‘Lionnes’ are going to try to put Senegalese and African basketball on the map. An 11th AfroBasket title? Naturally. Over the past 47 years, Senegal has won 11 gold medals, 5 silver medals and 3 bronze medals. 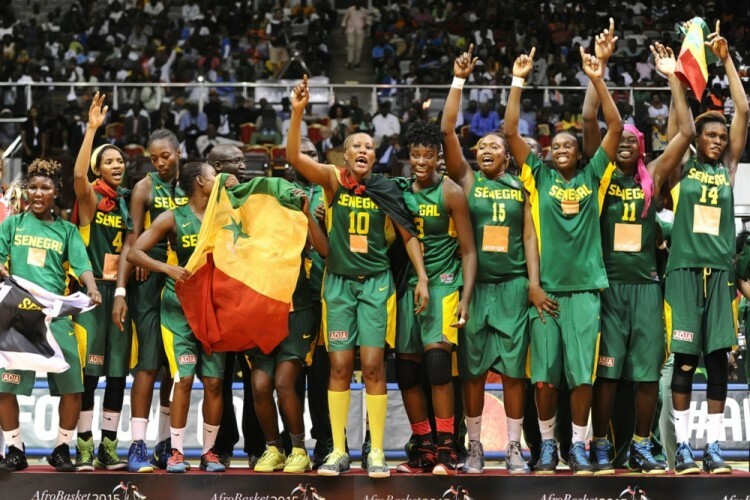 Senegal is the most successful African nation in women’s basketball. While Cameroonian players battle to win prizes, Aya Traore and her teammates have always managed to avoid any financial controversy – something which happens frequently in African sport. Win the African Cup; go to the Olympics… It’s not just about personal satisfaction for Aya and her teammates. Their dedication is also part of giving back to the community and their country. Thanks to their triumph in Yaoundé, the team got to meet Macky Sall. The president of Senegal offered to the players a house and a prize. But the president also promised to build a basketball arena worthy of the title. He promised an arena, which will meet FIBA’s criteria in order to host a continental competition; an arena, which will take Senegal to a new stage. The beginning of a new era for Senegal? They’re on the right path. And the winner is... Senegal! Afrobasket 2015 champions were Oumou Khairy Thiam, Aya Traoré, Tening Sabelle Diata, Fatou Dieng, Mame Diodio Diouf, Ndeye Sène, Astou Traoré, Maimouna Diarra, Mame Marie Sy Diop, Oumou Kalsoum Touré, Ramata Daou and Bineta Diouf.